DIY Picture Frame Ideas – Finding the right picture frame for your photos can make all the difference in your decor. A photo that is framed has a more professional and polished look to it. 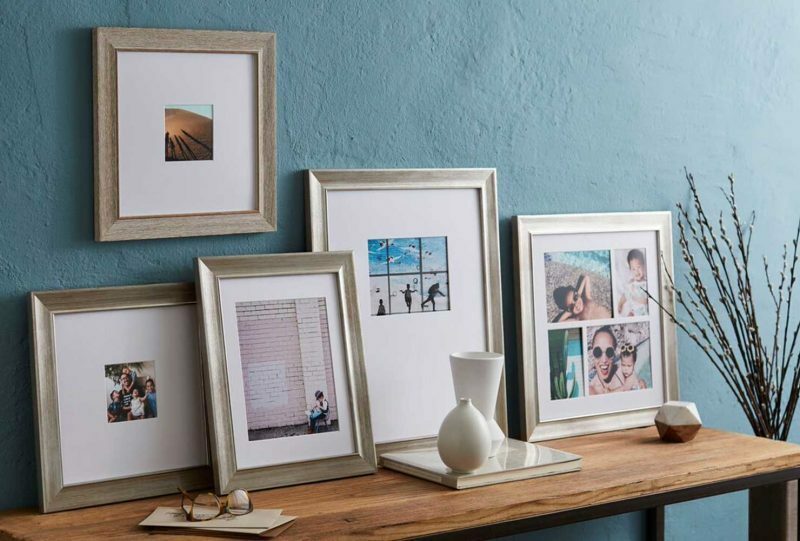 Whether you’re going for a classic, rustic or modern look, the perfect frame can tie the room’s decor together. An easy way to make a frame unique is by creating it yourself. 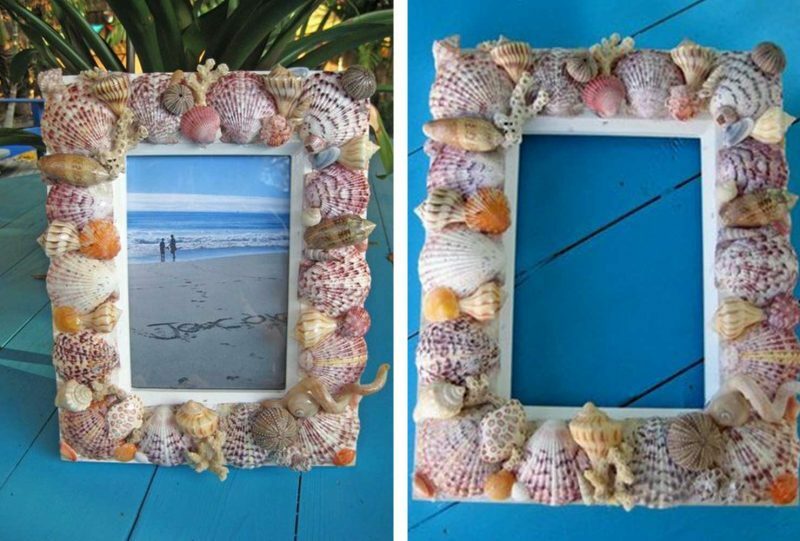 As inspiration, we’re sharing 25 DIY picture frames that you can try making yourself. With just a few supplies and DIY tips, you can create picture frames to match your style and enhance your room’s ambiance. For a special touch, try designing a personalized frame. Opt for a wood, metallic or classic color like black or white. Framing your prints, from landscapes to candids of your family and friends, will instantly create a space you want to show off. First picture frame ideas is Classic Black Frame. 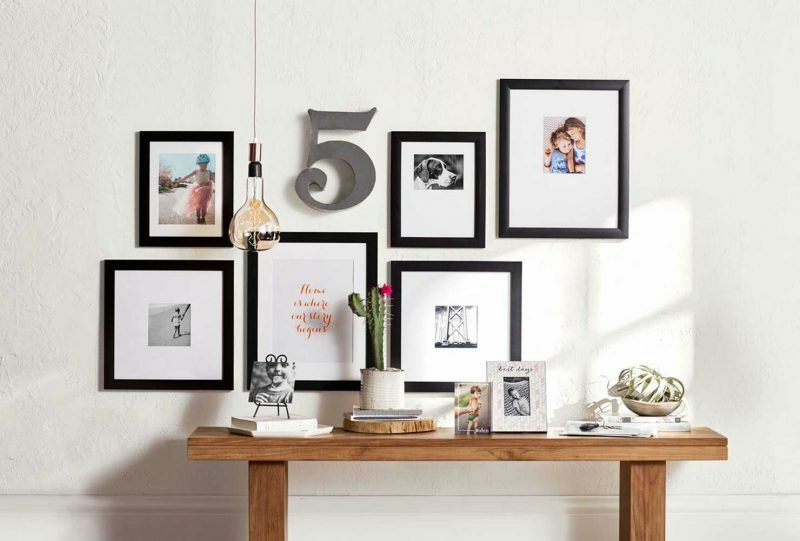 Simple, chic frames make for stunning wall art. Opt for classic black frames, then add your artwork, photos and inspirational quotes. The next picture frame ideas is Wooden Tea Light Frame. Looking for unique picture frame ideas? Construct a wooden frame with open spaces to insert battery-operated tea lights. This luminous decor works well in a basement, den or screened patio. Next, picture frame ideas is very interesting, its name is Festive Wood Frame. Darken a wood frame by using a wood burning tool. You can even etch small designs into your frame, like dots and horizontal lines. 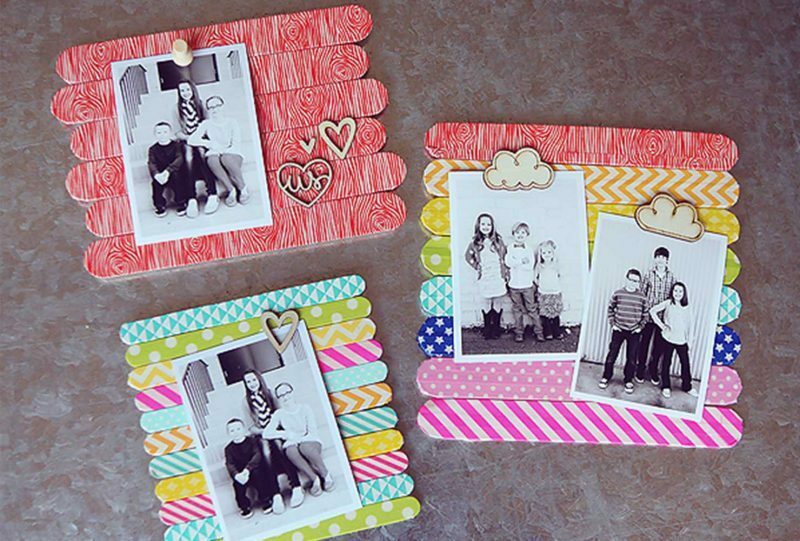 Fashion DIY frames by gluing together a row of popsicle sticks. Add color and style with patterned washi tape. These picture frames often compliment a bedroom, playroom or bathroom. Gather seashells you’ve collected from beach trips and ocean vacations. 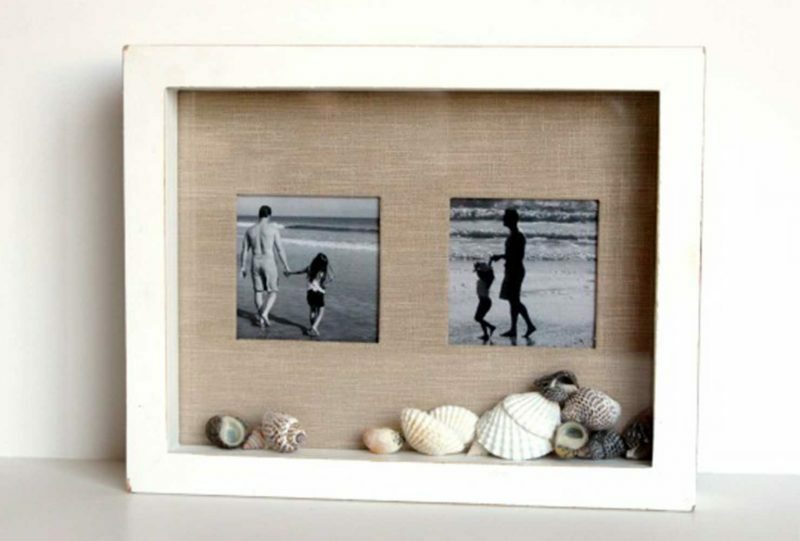 Secure the shells onto the border, then add in a photo of you and your family enjoying the coastline. 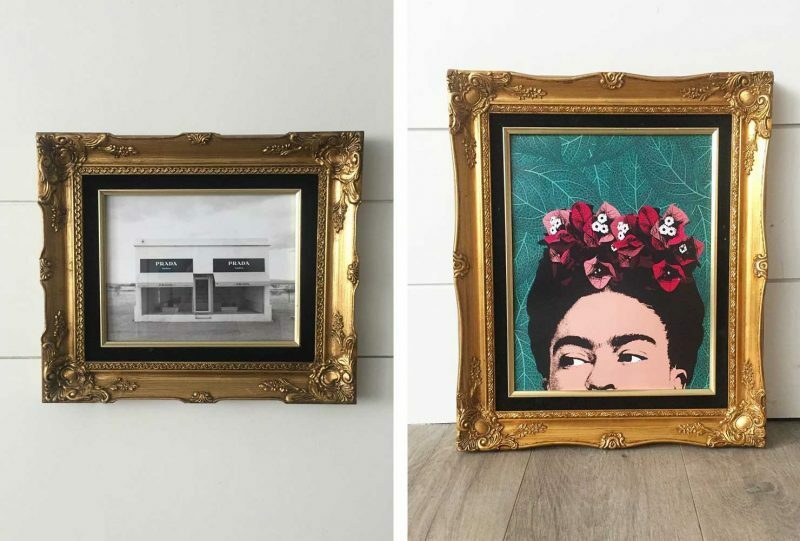 Find a vintage style frame at a second-hand shop and spray paint it in gold or silver. Select a classic photo, like a cityscape or portrait, to place in your metallic frame. Accent a wood frame with stars, stripes or hearts. 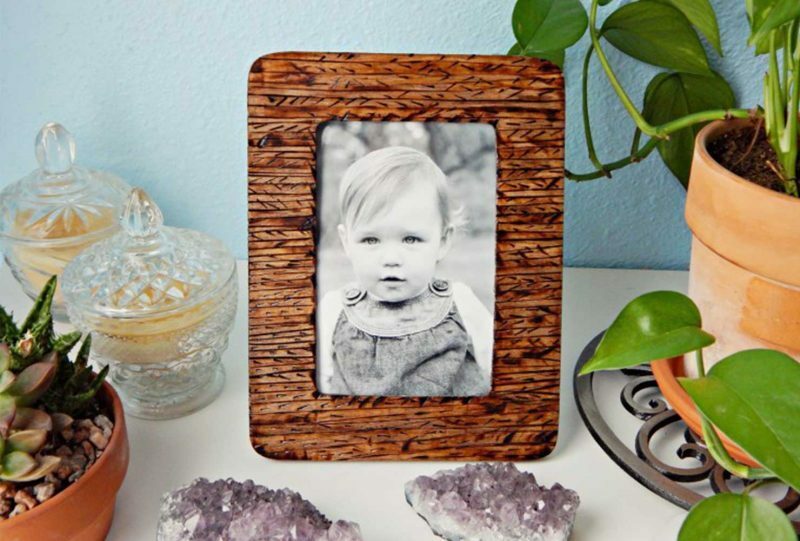 Use a wood burning kit to engrave the design into your frame. Step away from a standard square or rectangle frame by choosing a circular design. Add extra personality by painting the frame in a unique color and attaching a strap to serve as the hanger. 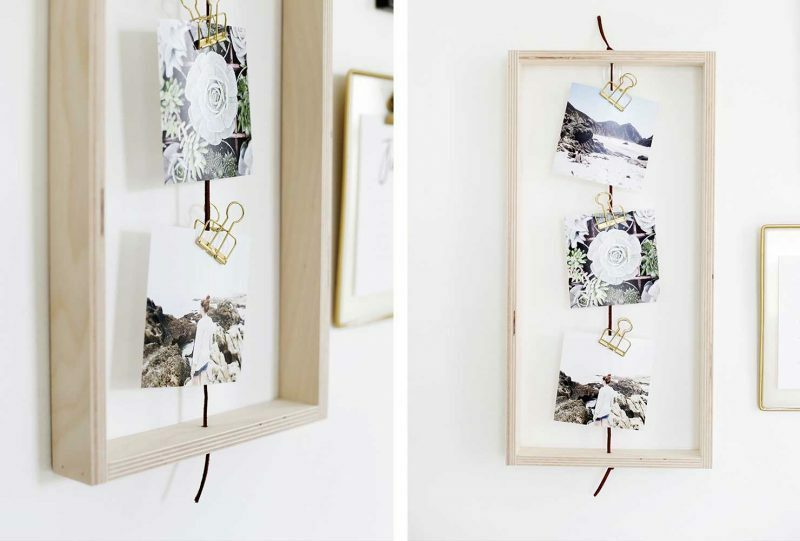 Add flair to a traditional picture frame by hanging string from top to bottom. 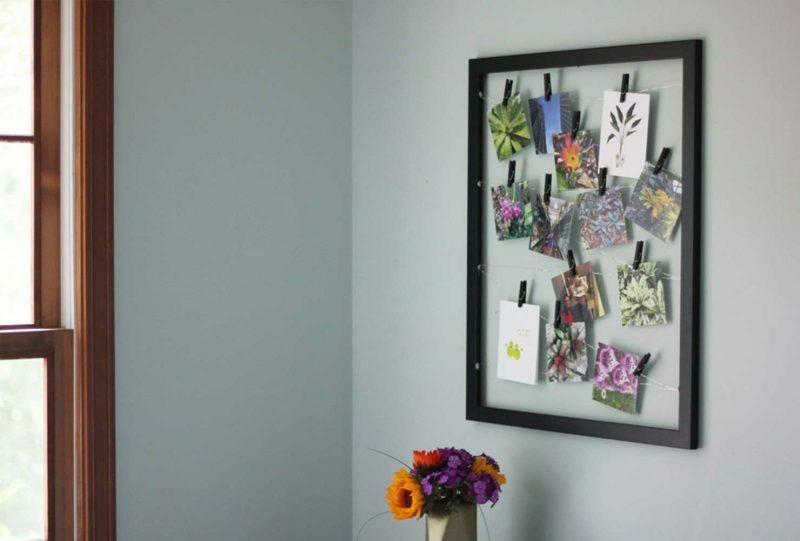 Attach your photos to the string using clothespins or binder clips. 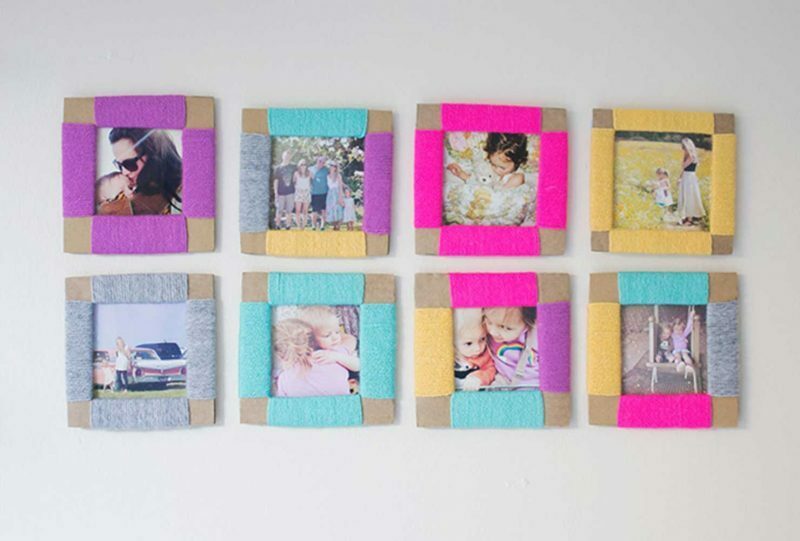 Form mini picture frames out of cardboard and colored string. Make frames of several colors for a festive gallery feel. Create a space that allows you to swap out photos over time giving you the opportunity to keep your decor up-to-date. 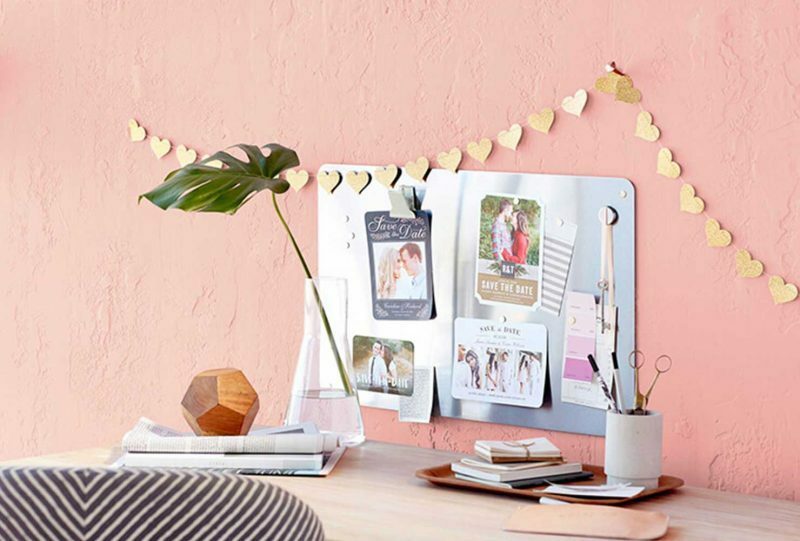 Try a magnetic board that can be hung above a desk or dresser. 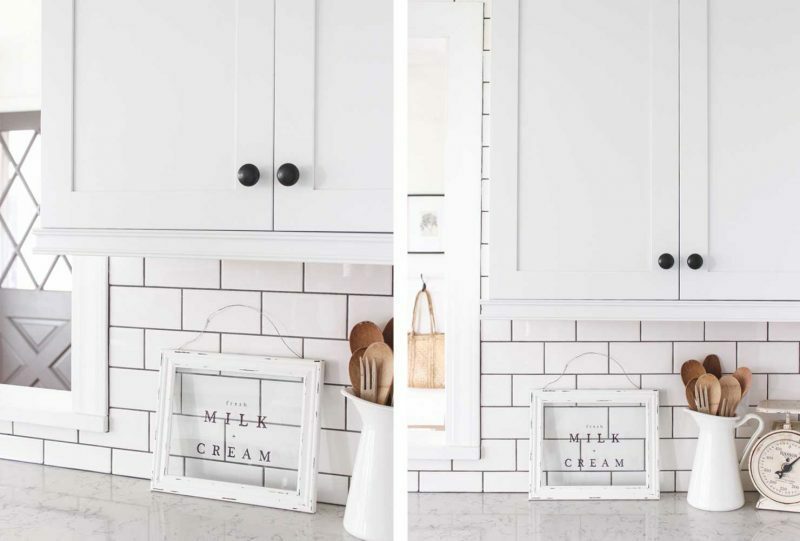 Turn a wooden frame into rustic, farmhouse decor by painting it white. Sand off some of the paint for a weathered look. The best DIY picture frames are personalized. 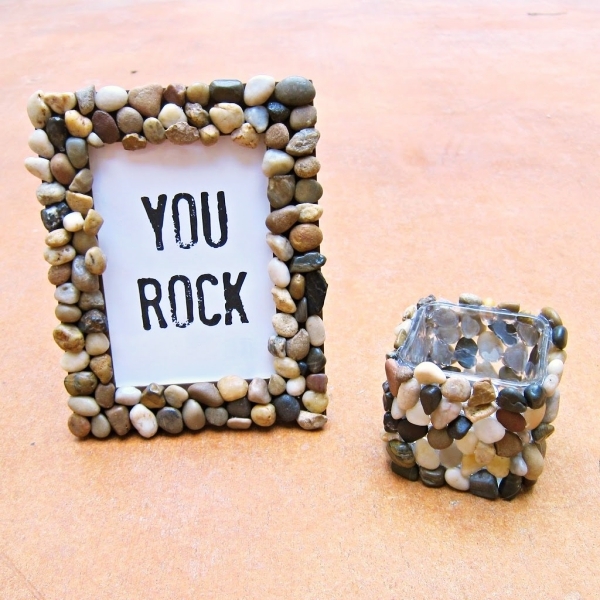 Build a shadowbox, then include items like seashells, stones and small souvenirs. 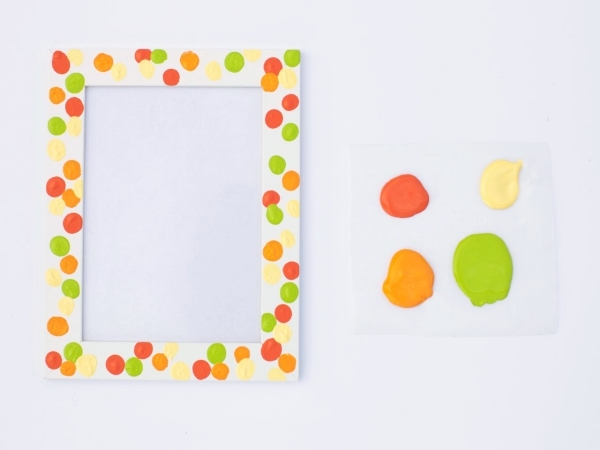 Give a frame a two-toned look by layering colored paints on top of each other. Go for a white and coral scheme like this frame or choose pastel colors like green and blue. 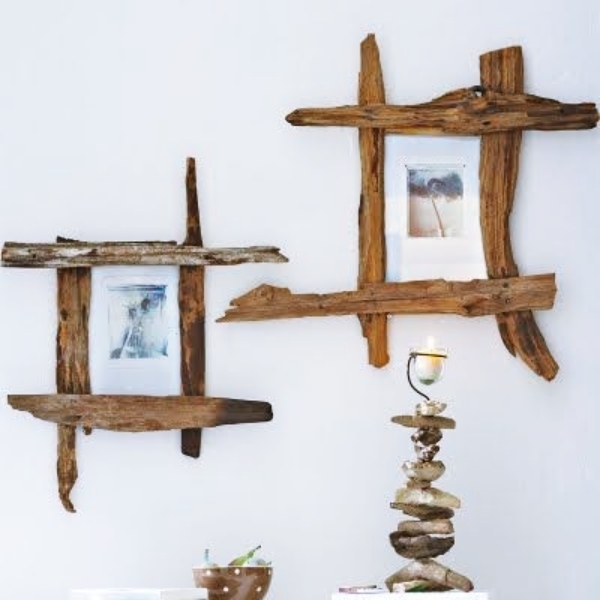 Repurpose driftwood by making it the foundation for hanging wall art. 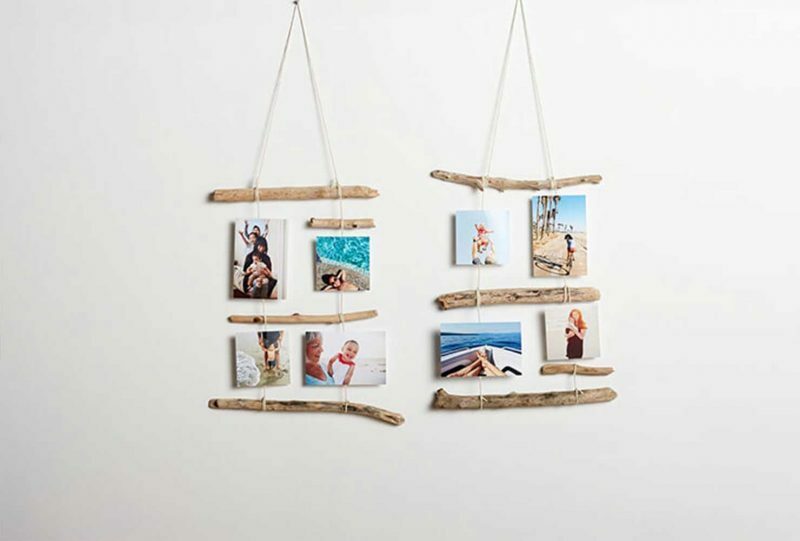 Hold the photos and pieces of driftwood together by durable string. 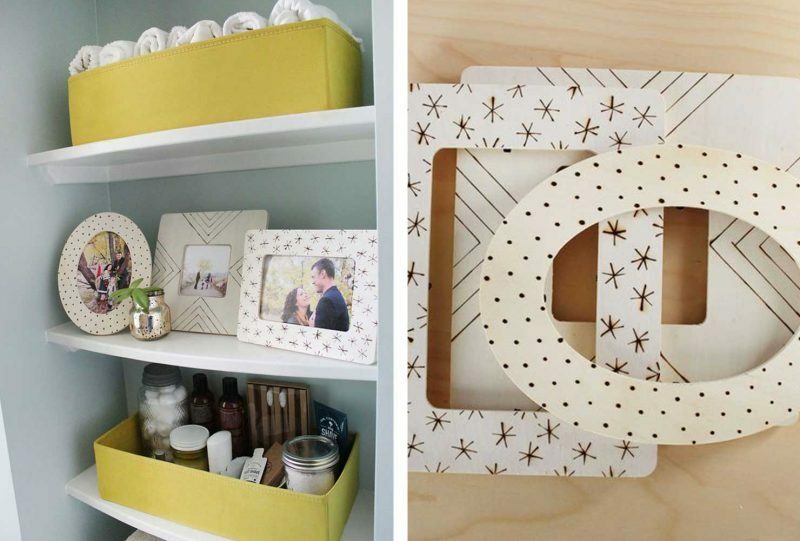 Enhance an existing frame with one of the easiest DIY materials: washi tape. Cut small strips for securing your photo in place, then add extra pieces for accents. Show your love for your country with a patriotic frame. 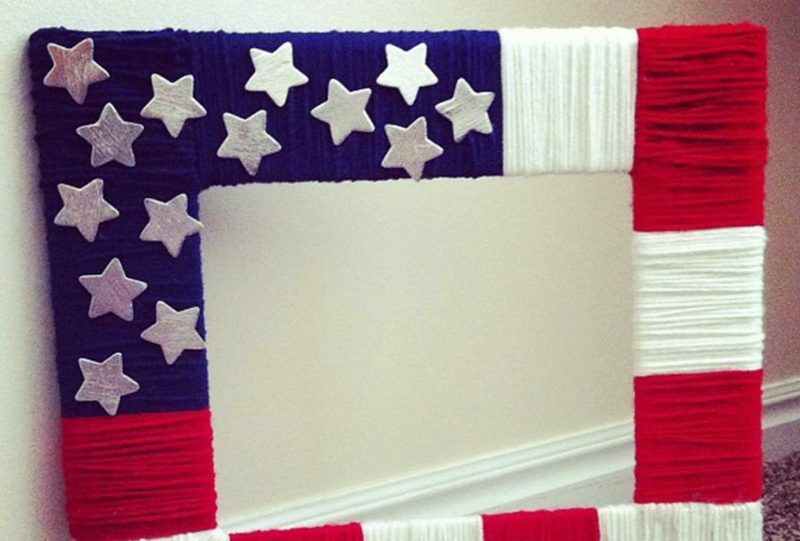 Wrap red, white and blue yarn around a picture frame, then glue on silver stars. 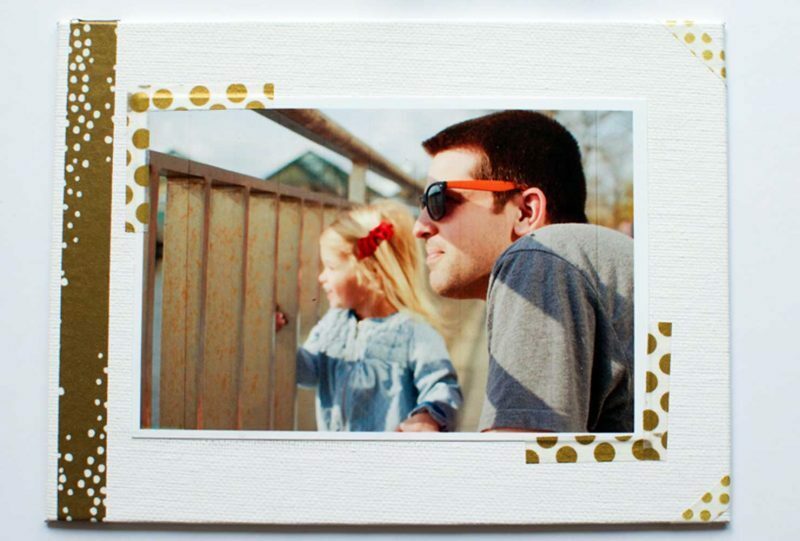 Build your own photo board using an empty frame as your foundation. 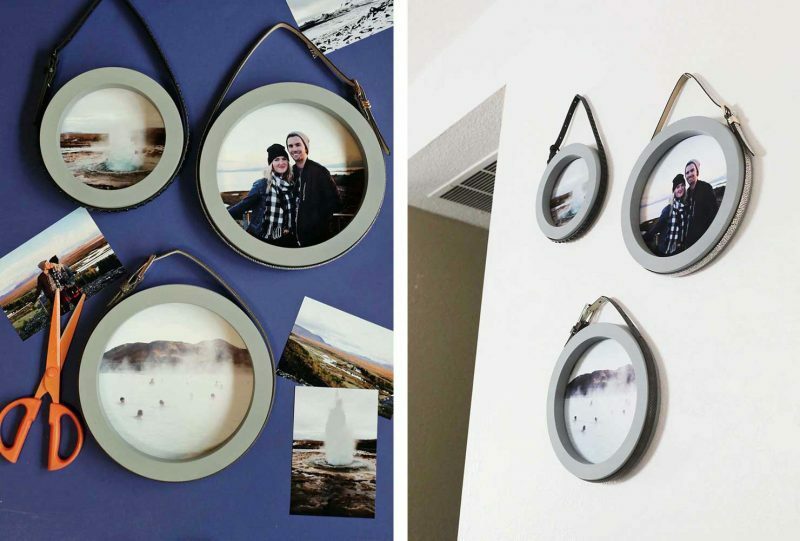 Attach pieces of wire or string to hang your photos. Choose a variety of images for a balanced arrangement, like flowers, mountains and family candids. A collection of metallic and wood frames will make for a balanced wall spread. Find or paint complimentary frames to design your artistic gallery wall. 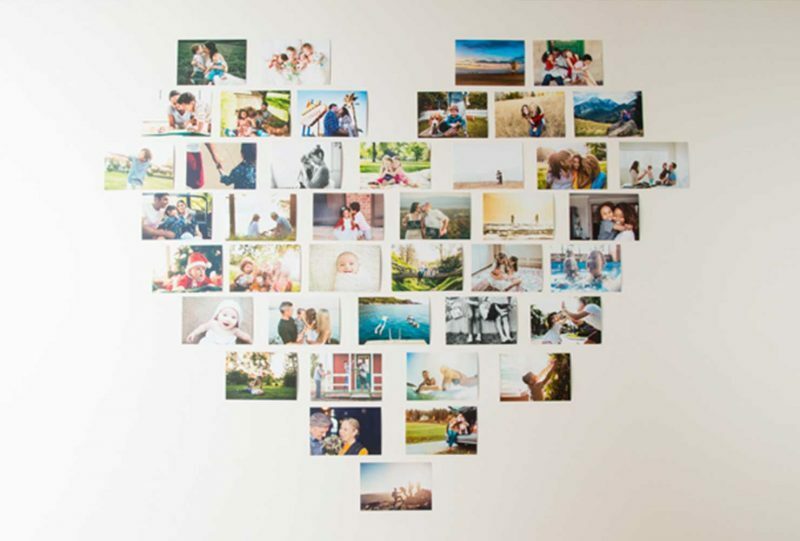 Arrange a collection of photo prints into the shape of a heart. Select a mix of photos including candids, close-ups, landscapes and portraits. Let your photos light up a room, literally, with this illuminated frames from That’s What Che Said. 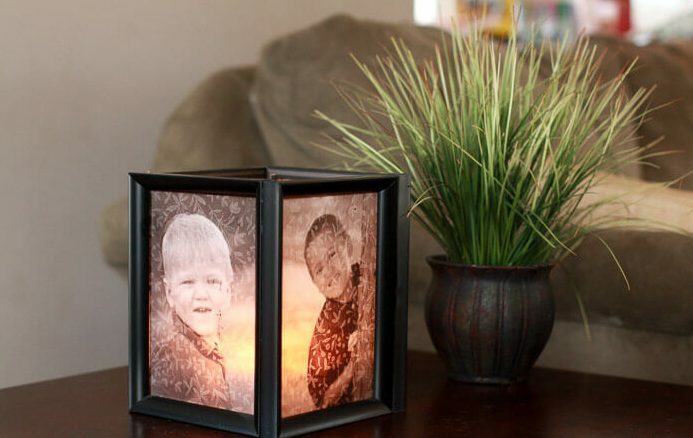 It creates a homey glow at night and also puts a spotlight on your most prized pics. These frames can turn out to be snazzy. You can collect small stones or pebbles from a nearby park and you’re ready to go. Arrange the pebbles and confine them to the corners of the cardboard. You can paint these pebbles in peculiar manner. Paste your picture in the middle and your frame is ready!. Collect the wooden sticks from your nearby park, break it into small pieces and align these pieces on the corners of the cardboard. Make a broad border to make it more appealing. You can either paint the sticks or keep it in the same manner, as per your relevance. Take a piece of cardboard, cut it into any shape. Paste a white sheet of paper on the cardboard. Now, take an unused toothbrush, dip it into different painting colors and sprinkle the paint from the toothbrush on the white sheet. A distinctive pattern of colors will be created on the paper. 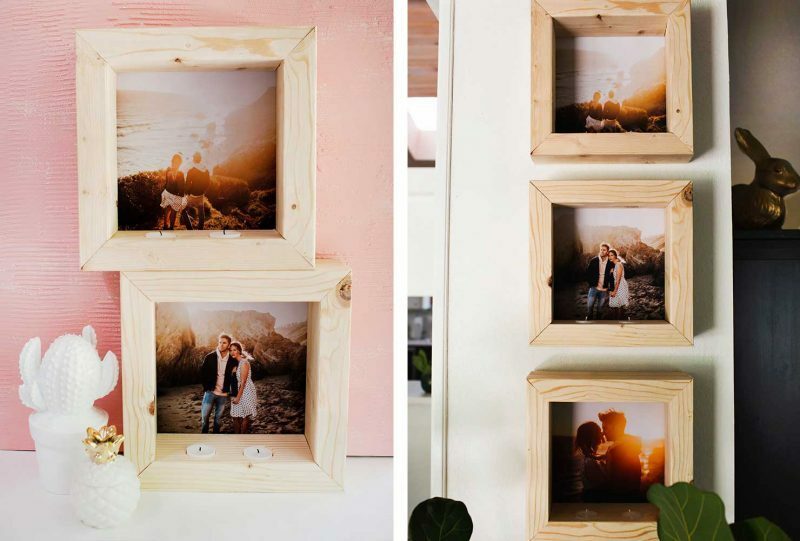 Paste your picture on this Beautiful DIY Photoframe Ideas and you’re ready to present it to your sweetheart. Are there plastic spoons procurable at your place? Take about 30-40 plastic spoons and cut a circular shaped cardboard. Paint these plastic spoons from top to bottom with a single color. Now, leaving space for a picture in the middle, start pasting these spoons adjacent to each other till you cover the entire cardboard. 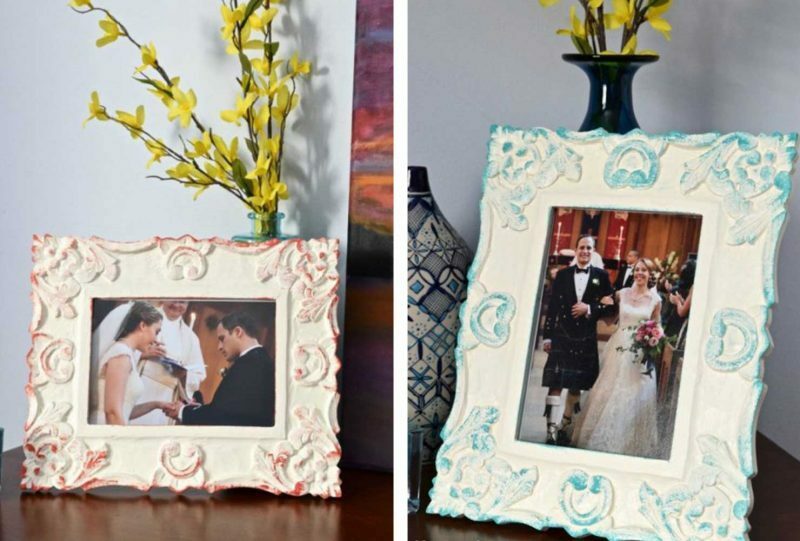 Now, you can paste your picture in the middle of this Beautiful DIY Photoframe Ideas. 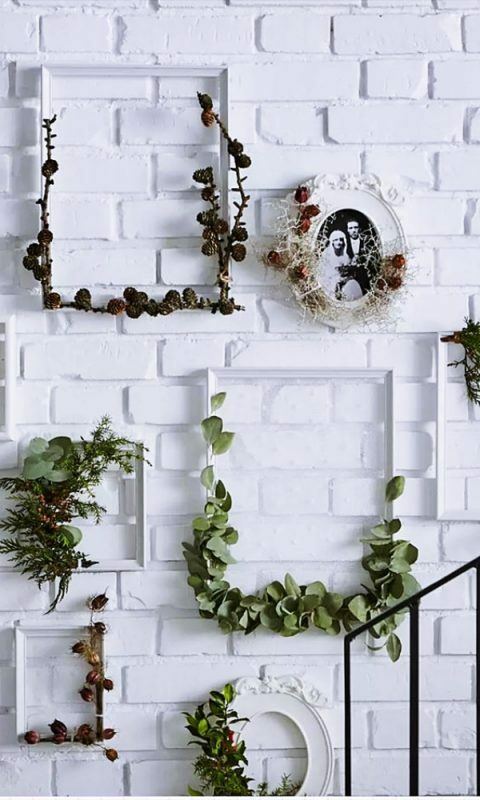 DIY picture frames can make all the difference in your home decor. Want to commemorate a special birthday, anniversary or birth of a child? Consider a custom engraved glass picture frame. Place it on your mantel, desk or dresser. These diy are just super awesome ! Tried doing the seashell frame.. hope it will come out well ! All DIY are better !